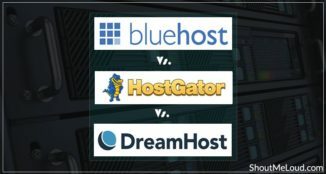 Bluehost Pro Vs. Shared Hosting : Is it Worth the Upgrade? Bluehost Pro Vs. Bluehost Shared Hosting : Is it Worth the Upgrade? Running a self hosted WordPress blog is fun, as we need to take care of everything. Moment you start a self hosted blog, you are almost running a business. That means, you need to take care of everything around your blog. One of the major concern with self hosted blogger is web-hosting. Till the time your current hosting is not giving any issues, you don’t need to worry about anything, but moment your WordPress blog gets old, or some buggy plugin or codes starts playing hide & seek, webhosting company can give nightmare. In last 4 years of blogging, I had many sleepless night because of hosting woes, and it’s always fun to fix the problem and learn something new. This is one reason, I often recommend new bloggers to opt for quality webhosting, which can easily host your WordPress blog, and you can focus more on thing you are best at; i.e. writing. 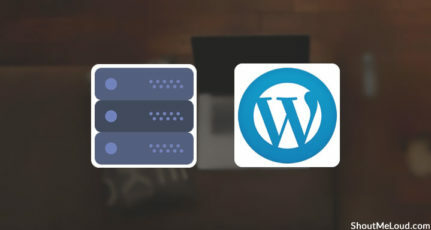 In my earlier guide (Webhosting packages for beginners), I explained different type of hosting packages, and explained why shared hosting is the best for a new WordPress blog. 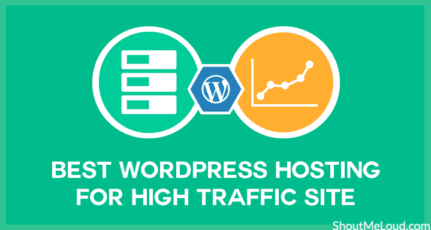 A quality hosting like Bluehost or Hostgator which starts at $5.95/month, can easily handle traffic up to 20K/daily of an optimized WordPress blog. Usually when shared hosting can’t handle our traffic, we tend to upgrade to VPS hosting, and I have tried this in the past with Knownhost VPS and linode VPS, and realized it works only when you have enough memory on your VPS server, and is completely optimized for running WordPress blog. Infact, there was a time when I downgraded from basic VPS plan to shared hosting plan, and it worked better for me. 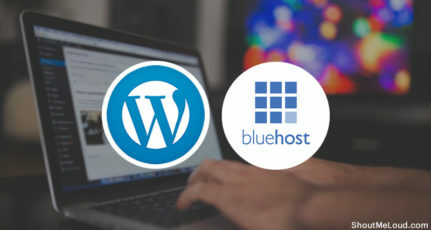 Today, I will be talking about Bluehost PRO package, and will explain why it’s a good option for bloggers who are looking something in between shared hosting and VPS hosting. What is Bluehost Pro Package? Is it worth upgrading to Bluehost Pro package? 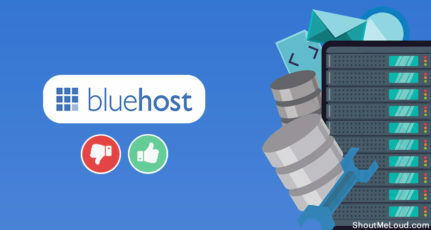 Bluehost Pro package is a paid addon offered to Bluehost shared hosting customers, who needs more resources in compare to shared hosting resources. Typically when we are on a shared hosting, all the server resources are shared among all the websites hosted on the same server. That means, if a shared hosting have 100 websites hosted on them, all server resources can be utilised by any of the site, and this is one reason many times we face issues like server downtime, due to one buggy website on that shared hosting. I already had a long discussion on how does shared hosting affect search engine ranking, and by the end we concluded that, if budget is not an issue, having your site hosted on private I.P. have it’s advantages. With pro package, you get 1 dedicated I.P, and needless to say SEO advantages you will be getting along with it. Website speed not only is useful for your users,but also for search engines. With increased CPU and memory on Bluehost Pro account, your website will load faster. Specially if you are struggling with slow WordPress dashboard on shared hosting, you should consider upgrading your account to pro package, and notice the difference. $20/month for improved performance of a website is totally worth the money. If you are running a WordPress membership site or Ecommerce WordPress site and taking payment, SSL certificate is must-have for your blog. Pro package offers positive SSL certificate, to offer a secure way for your client to access payment page. On Bluehost Pro package, we get more resources in compare to their shared hosting. There are less users on Pro package in comparison of standard shared hosting. Now, more resources with less users, will be far better than upgrading to any entry level VPS. With Bluehost pro package, I will be paying way less than managed VPS. Do remember, it will take 1-2 hours for them to migrate your website to new powerful server, and your website might go down for 1-2 hours, because of DNS propagation. So, a good idea is to upgrade to pro package on weekend and on less traffic day. Over all, if your shared hosting is giving your trouble, and you considering to upgrade to VPS, you should consider Bluehost Pro package, to avoid huge VPS bills, and tech hassles. If you are an existing Bluehost Pro customer, do share your experience and review of their service. I’m using HostMonster (basically still BlueHost, but with a different name) and I can say that, indeed, the shared hosting works great when you get started. However, once there is enough traffic coming and more resources needed, I preferred to go another route and I’ve chosen a Cloud Hosting solution, not a VPS or a Pro upgrade. The benefits of serving content from the nearest possible server to the request, combined with a true 100% uptime (even if one or a number of servers fail, there will be still the other ones, serving the content, even if from a farther range) were the decisive factors for me. A downside of it (for the beginner blogger) is that usually, such hosting solutions do not come with cPanel for backend administration, sadly… But hey… it is actually meant to be a high end solution. Presumably, if someone needs such cloud hosting, they could easily afford a managed account, right? Very help full articles, harsh I would like to say that i got bore with go daddy hosting, it is good but not good in E mail. from a few time when I saw you post than i take decision to buy hosting blue host and now you suggest to buy Blue host Pro Package. It is great i will buy this one today for my new website. Whenever you can upgrade to a less crowded environment in hosting, do it! A pure shared hosting server has a lot of sites on it which yours is just one. If you can upgrade to a dedicated server, one with only your sites on it and no others, is the way to go if your traffic and budget will allow for that. If traffic and budget concerns will not allow for a full dedicated server then a move up to a less crowded server with more features is the way to go. I am considering among HostGator, Dreamhost and Bluehost. Could you recommend one? You can opt for Bluehost or Hostgator …. Exactly the post i was looking for. But i have a few concerns on how to optimize my blog. I have uninstalled the plugins which i’m not using and also installed a WP Super Cache plugin. My blog doesn’t have many images or a hefty theme. Just a simple site. Is it enough, anything more that i could do? I did the mistake of adding too many sites to my hosting, and now I can’t take down any of them. This drains a lot of resources, the end result being poor user experience on my main website, which is an ecommerce one. This surely has affected conversions and search engine traffic, and I will be upgrading to Bluehost Pro to tackle with this. Go with Bluehost or Hostgator. Can Bluehost pro plan gives unlimited domain hosting ?? I recently pyrchased a domain from bluehost. Will purchasing a domain from india would affect my traffic of other countries like us,aus etc? Great Blog. Very Helpful. Referred here and bought 6 Pro accounts for 36 months. It is cheap if you purchase for 36 months upfront.